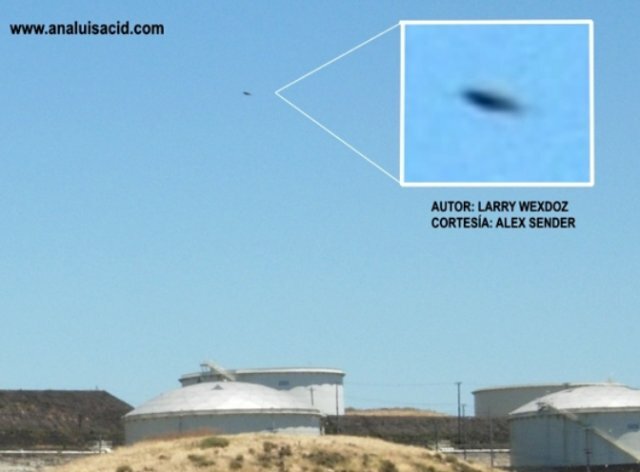 The possible UFO was taken in California on 1 July 2006. Larry Maxdos took this photo around 13:30, near reservoirs located near the cities of Hercules and Vallejo. The witness used a Nikon E5200 camera. It sent his description and the photo of Anna Louise Led. The photograph clearly shows a disc-shaped object in the sky.